At Artisan Electric, we believe that clean and efficient energy should be easy, accessible, and beautiful — and we turn that potential into reality for our customers. Since 2007, Artisan Electric has helped shape the Puget Sound’s energy future. We do this by educating communities, simplifying processes and creating solar energy solutions that are both practical and elegant. With over 5 megawatts of solar power installed, Artisan is one of the largest and most respected solar contractors in the Puget Sound region. We are proud to set industry standards for quality, design and customer service. Artisan brings an integrated approach and signature craftsmanship to every project. We show homeowners and businesses that clean energy is a smart investment and a great fit for their energy needs and aspirations. Schedule a consultation to see why people choose Artisan Electric. Artisan Electric never stops working to raise the bar for quality, artistry and customer service. Grounded in years of experience, we always looks ahead to the future of the industry and continues to evolve as leaders in the Puget Sound’s clean energy movement. Inspired by each customer’s unique vision, we seek creative ways to integrate form, function and power. Of the over 900 residential and commercial solar arrays we have installed throughout the Puget Sound, many have set precedents for design, local sourcing, and incentive eligibility. Artisan has a reputation for superior quality and service, and we work hard to stay at the top. Surpassing industry standards, we stand behind our work with a five-year guarantee. 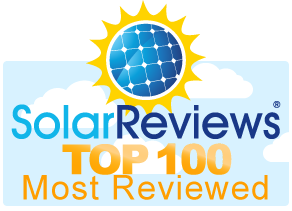 We are the Puget Sound’s only solar contractor with a team 100% professionally trained and licensed journeyman electricians and apprentices—all of whom share our commitment to total customer satisfaction. Artisan Electric Inc. was founded in 2007 by Jason Williams, a union journeyman and experienced residential and commercial electrician who wanted to exercise his passion for energy efficiency and renewable energy solutions. He formed Artisan Electric as a signatory IBEW contractor and hired other professionally trained union electricians from the Local 46 hall, and began to focus on designing and constructing the highest quality solar installations in a fledgling industry. Several years and much success later, Artisan outgrew the offices on Vashon Island, and in 2013, relocated to our permanent headquarters in the historic Georgetown neighborhood of Seattle. Artisan has grown to a total of 31 full time staff (and growing). To date, Artisan has installed over 900 solar photovoltaic (PV) systems totaling more than 4 MW of production capacity. Artisan empowers people to energy independence through innovation. As a renewable energy contractor, we feel a moral imperative to combat climate change through education and implementation. Artisan has been a leader in raising public awareness about clean energy, energy efficiency, and global climate change through the use of workshops, webinars, lectures, tours, and work with lawmakers on policy at the state level. We continually strive to raise the bar with our projects, and with our investment in our employees. Artisan is a signatory IBEW Local 46 Electrical Contractor dedicated to providing living wages and long-term careers in the energy industry.